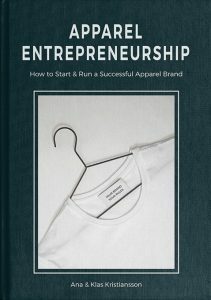 Do I need to know how to draw to start a clothing brand? The short direct answer is No, you can start and run a successful brand without knowing how to draw, but for your sake and in the end, for the brand – yes it would help a lot if you could visualise your ideas. The reason for an illustration is to visually communicate your design ideas. This sketch will be the ground work for your entire product development and the first link in the entire chain. Somehow your product ideas need to come out on a piece of paper, on a computer or in a physical form like a prototype. From this draft, you or a designer can continue to make a tech pack with flats, the pattern maker can make the measurement list, and the factory can make a prototype. The technical drawings, the flats, will go into your tech pack. The flats are a front and back views of a design. If the garment is really complicated you might want to add a side view as well. The flats are drawn to normal body proportion, not 9-head fashion proportions, and should be as “correct” in real life proportion as possible. There are several websites that specialise in offering finished and downloadable Illustrator design templates. These can be changed to suit your needs. Depending on how big your budget is, you can always hire a designer that can do the job for you. Visit Ana Kristiansson Design Agency here. You will still have to explain your thoughts to the designer in order for him/her to do her job and start sketching the ideas. Some factories also have this step in the process as a service for companies that don’t have a designer. They can actually help you design and make the entire garment in the process. You will go through the same steps where you have to visually and verbally show what you have in mind. They will also have garments in their showroom that you can pick ideas from to help out in the product ideation stage. If you want to be in full control and absolutely on top of the design process, then there are no shortcuts – learn how to draw. Practice till you can visualise your idea on paper or a screen. For hand drawn sketches you can use pencils, markers, water color, gouache, collage, whatever makes you happy and inspired. Most of the time the easiest and fastest way to land a design is to make several quick hand sketches. To learn how to do this, take a good time and watch yourself in the mirror, with similar apparel as you intend to design. Look at proportions, shape, balance, seams, details. Also go to your own wardrobe, pick a garment out, put it flat on the floor and start sketching it off. Look at proportions and seams. When you have done this on several styles you will start to get the hang of it and also understand how garments are sewn together. Dissect competitor samples. Either take garments in your own wardrobe or bought samples and deconstruct the products. Cut out what you like from different styles and sew new ones together. This way you will learn how garments are constructed plus you will get closer to what you want your own styles to look like and what finishing details they should have. Later bring this to the factory and show them what you want to achieve. There are tons of online classes for drawing, you just need to decide you want to learn and commit, put in the work and soon you will have no trouble doing quick sketches. However, you do not have to be able to draw amazing fashion illustrations to run a successful apparel business. Other ways of doing it is by printing out tech pack sketches from the internet of similar styles and redraw them with your own designs on a light box. You already have the main frame for the design and the proportions, adjust the length, width and redesign the lines to suit your taste. You can also use the help of a croquis template. By using a croquis template the apparel drawing can be done ontop of the croquis, forcing the lines and proportions into shape. It will be a huge advantage for you to have drawing skills. Not only to articulate your own designs but also for when your team grows. When you have to read an employed or contracted design’s work you will know the thinking of it, you know what and how to “see”. This is eventually the most important skill, to be able to SEE. See what’s going to be, see what the design is going to look like in the intended material, with the intended details and trims. To visualise how the garment is going to move, to behave and to feel. If designing is not a part of your background, don’t underestimate the need for a designer involved in your brand. 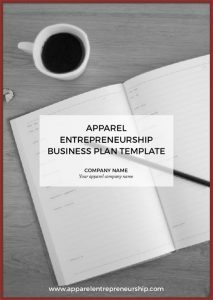 After all, apparel design and the products are the core of your business. You can find tech pack templates, croquis templates, and much more in the Member Zone.